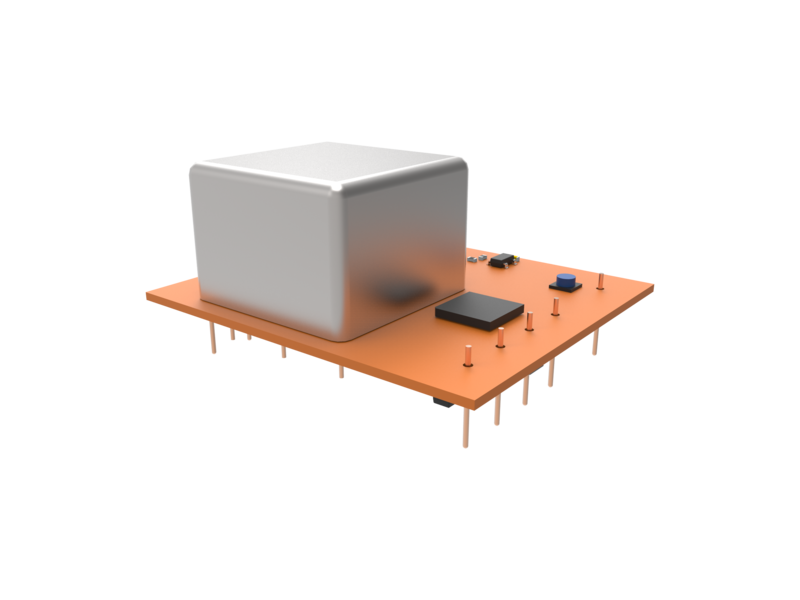 The Achilles Low Power Crystal Oscillator Series offers excellent frequency versus temperature stability in a compact package for applications where size and power are a concern. The Achilles series achieves low startup power while maintaining a fast warm up of less than one minute. See something you like? Request a quote now! The Poseidon Series is specifically designed for high vibration environments where dynamic phase noise performance is paramount. The active compensation and passive isolation provide up to 100x improvement in acceleration sensitivity over standard oscillators. The Trident Series is specifically designed for high vibration environments where dynamic phase noise performance is paramount. The active compensation provides up to 20x improvement in acceleration sensitivity over standard oscillators at 10 Hz to 300 Hz offsets. -165 @ 100kHz 5.0v 2.5" x 2.7"
Bliley's ultra low phase noise OCXOs span a wide frequency range and is specifically designed for applications requiring superior noise performance out to a 100kHz offset. Bliley's low noise oscillators families, Apollo and Zeus, are ideal for phase-locked microwave signal sources such as DROs, low noise test equipment, microwave communciation systems, and radar applications. Bliley's high performance OXCO product offering is a result of 85 years in the Frequency Control Industry. Modern layout topologies enable Bliley to engineer and produce robust designs for all applications. The Iris Series OCXO is specifically designed for commercial space Low Earth Orbit (LEO) applications, designed to be radiation tolerant for both Total Ionizing Dosage (TID) and Linear Energy Transfer (LET) typical of LEO orbits. Iris offers excellent phase noise performance and g sensitivity. -168 @ 100kHz 5.0v 1" x 1"
-160 @ 100kHz 5.0v 3.35" x 1.35" x 0.81"
The Atlas 1PPS Series is a GPS disciplined OCXO designed to provide precision timing and frequency. The small form-factor and low-power consumption provides a lower cost precision timing source where atomic devices are cost-prohibitive. The Hyas Series is a GPS disciplined OCXO designed for Low Earth Orbit (LEO) applications to provide precision timing and frequency. The small form-factor provides a lower cost precision timing source where atomic devices are cost-prohibitive. The Atlas GPSDO Series is a low-cost GPS disciplined OCXO designed to provide precision timing and frequency in lab environments. 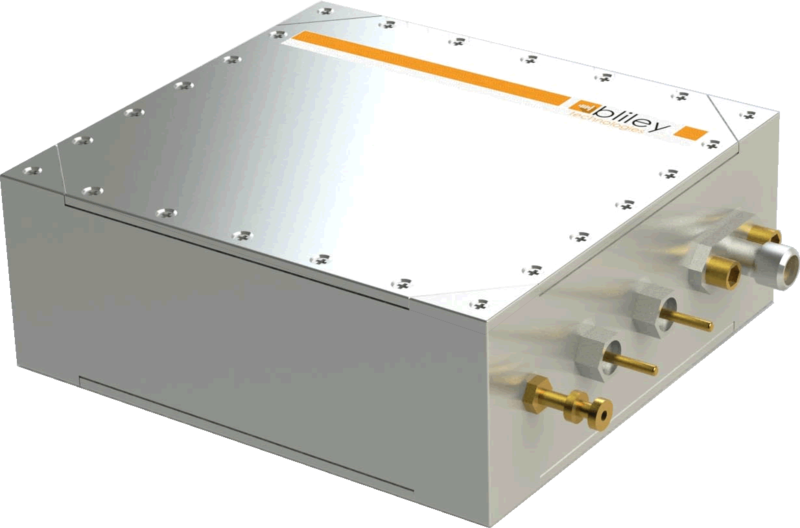 Bliley Technologies is the North American partner for AccuBeat and offers their Rubidium Atomic Clocks to our customers. By partnering with AccuBeat, Bliley is able to act as a single time and frequency supplier for our customers. The AR133 Series is a high performance Rubidium Atomic Clock in partnership with AccuBeat. The atomic clocks are designed to provide precision timing and frequency beyond what is typically available from quartz oscillators.